I recently interviewed Daryl Hanna for a feature that Diver Magazine will be publishing about a new Imax 3D movie (Whales and Dolphins). She talked at length about her passion to protect the marine environment. She also talked about her 1984 movie Spash. I also write a paragraph or two about her newest movie, Shark Swarm, which is a remake of Jaws with eco-twist. Knowing that the editor of Diver has a passion for rewriting stories in his own voice, I have posted the story in its original voice and included a brief synposis of the Whales and Dolphin movie. DOLPHINS AND WHALES 3D - Tribes of the Ocean, will immerse viewers in the daily lives of small and giant cetaceans as they interact socially, play, communicate through their highly complex system of sound, feed, breed, migrate and fight for their survival. The film delivers a powerful message in favor of both ocean conservation and the protection of its tribes. It marks the first time humpback whales, belugas, orcas, bottlenose dolphins and manatees have been filmed in 3D for the world's biggest screens. Unlike other IMAX (R) -type films, DOLPHINS AND WHALES 3D was shot entirely in the wild and consists solely of underwater footage. The documentary, voiced by Daryl Hannah is now showing in Imax theatres across North America and Europe. For just the second time in her long film career, Daryl Hannah is about to Splash onto the big screen. Dolphins and Whales 3D: Tribes of the Ocean, is a new big budget underwater film that is now being shown in Imax theatres across North America. And, while Hannah won’t be seen in this 3-D glasses-friendly documentary about cetaceans, her voice will be heard. The Hollywood star who first came to the public’s attention as the mermaid who hydrated herself in Tom Hank’s bath tub in the 1984 blockbuster hit, Splash, narrates the new film. The two projects share a zest for the underwater world, however the similarities end there. Splash was pure fun while Dolphin and Whales is all science. “ It wasn’t long after, that I signed Reef Check’s Declaration of Reef Rights,” she continued. The Declaration is both a petition and pledge to recognize the high value of coral reefs and to encourage all people and governments to support coral reef conservation. She plans to go back one day and film the dolphins for her website Dhlovelife. The site appears almost childlike but carries a powerful ecology message. The “V-log” focuses on healthy living, renewable energy, sustainable farming and saving the marine environment. 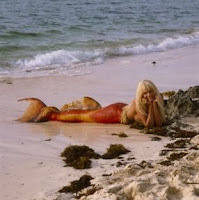 “Less than 1% of human beings have had the incredible opportunity to visit the underwater world,” said Daryl Hannah. “With this beautiful family adventure projected onto IMAX 3D screens, viewers can virtually touch some of the most incredible mammals in the world,” she said. “It is amazing how much we share with these beautiful creatures - play, family, education, community, struggles. Unfortunately, because we often are so unaware of these underwater tribes and our negative impact upon them through slaughterings and uncontrolled human activities, they are facing the greatest challenge of all: to survive the destruction of their habitat and depletion of food resources." The actress lives the life she preaches about. Her home is off the power grid – it is solar powered and is totally sustainable. She drives a car that is fueled by recycled fast food grease and once competed in a car race driving a pink Range Rover Hybrid using cooking oil as fuel. The American actress has made over 60 movies over the past three decades. Her best known films – Splash, Blade Runner, Steel Magnolias and Kill Bill – are not known for having a strong eco message. In fact, at the start of her career, her biggest statement was made when McCall’s Magazine named her to the list of "10 Best Female Bodies In America". Hannah’s next film – a made-for-TV movie, will combine the science message she delivers in Dolphins and Whales 3D: Tribes of the Ocean, with the whimsical Splash. 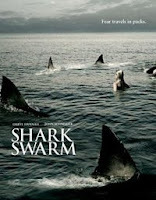 According to the Internet Movie Database, Shark Swarm is now in post-production. The film is “about how a fisherman and his family fight to take down a greedy real estate developer who has released toxins into the ocean, turning the area's sharks into bloodthirsty hunters”. Hannah plays the wife of the fisherman and fights to protect not just her family but the marine eco-system of California ‘s Half-Moon Bay. thanks for share this great blog with us. yes well say that It wasn’t long after, that I signed Reef Check’s Declaration of Reef Rights,” she continued. The Declaration is both a petition and pledge to recognize the high value of coral reefs and to encourage all people and governments to support coral reef conservation.